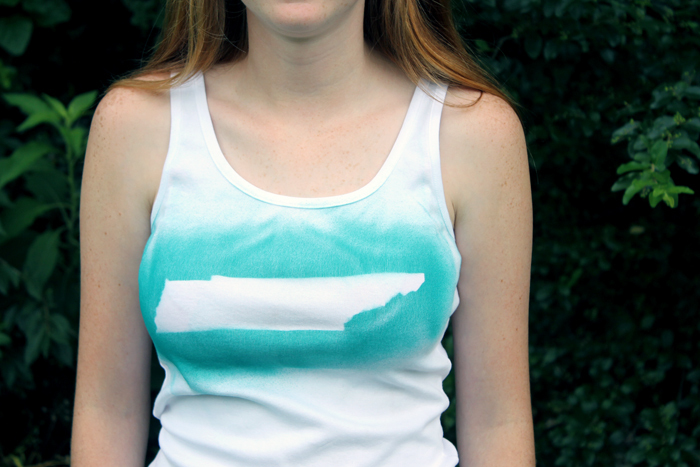 Did you know that you can make an easy airbrushed shirt in minutes? Did you also know it is easy enough that your kids can do it? Yep! I was asked to do a sponsored post for Testors with their Airbrainz Airbrush and we had a blast coming up with a shirt and experimenting with the airbrush. This is really super easy and perfect for kids and you can see our results below. I decided to include this project for scout week because it really is a great project that scout groups could do! If you have missed any of the quick crafts for scouts this week, be sure to catch up with the projects from day 1, day 2, and day 3. A little about the Airbrainz Airbrush from Testors before we get started on the instructions. I would recommend this kit for starting out. It will have the brush, supplies, and a compressed air can to get your started on your airbrushing adventures. You will also need to pick up a paint set that has the colors you are wanting to try out. 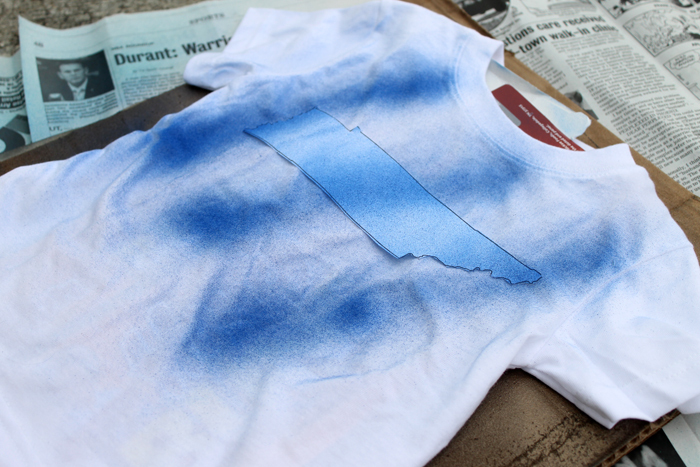 The paints really seem to go a long way and a set should do many shirts. 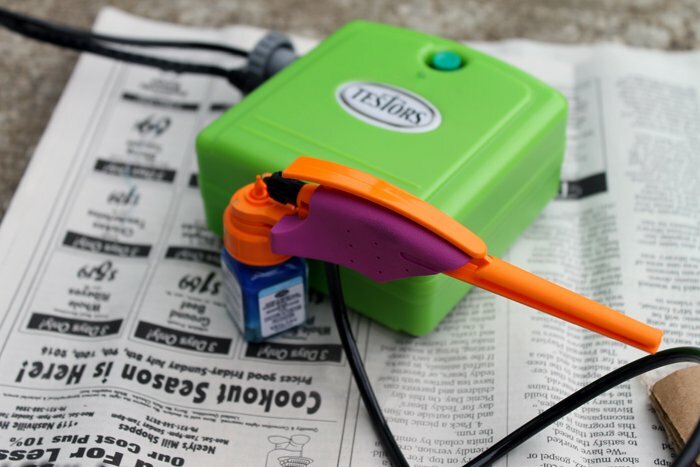 The kit comes with a compressed air can but if you are going to be doing several shirts (like for a scout group) be sure to either pick up more cans or invest in the mini compressor to ensure you will never run out of air. All of the air options can be found here. That is it for supplies! You are now ready to give your Airbrainz Airbrush a test drive! I thought I would make a fun video of the process for making this easy airbrushed shirt so you could see just how easy this is! 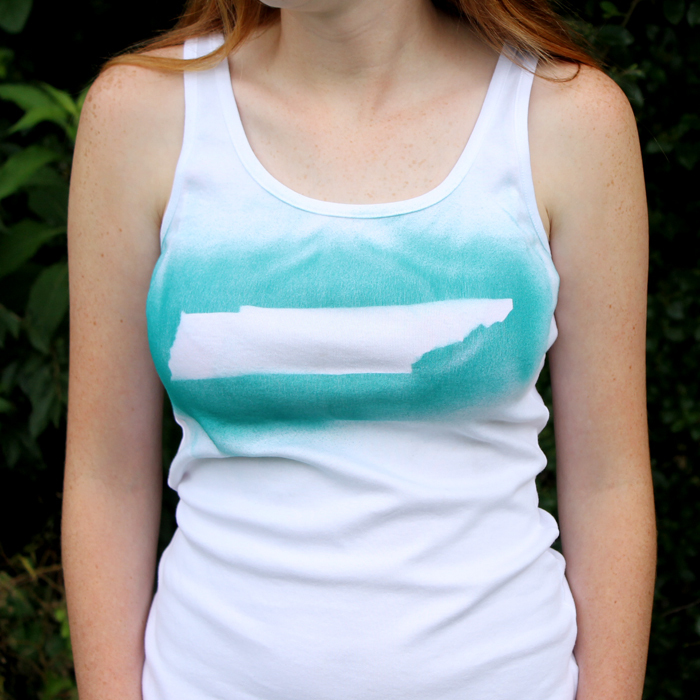 The video is less than 3 minutes long and we came away with a completed shirt! Super easy! Now for some written instructions plus tips and tricks! First of all, I didn’t have any trouble with the paint bleeding through but I added cardboard in between the front and back of my shirts just in case. I then cut shapes from heavy duty card stock to use as a mask. 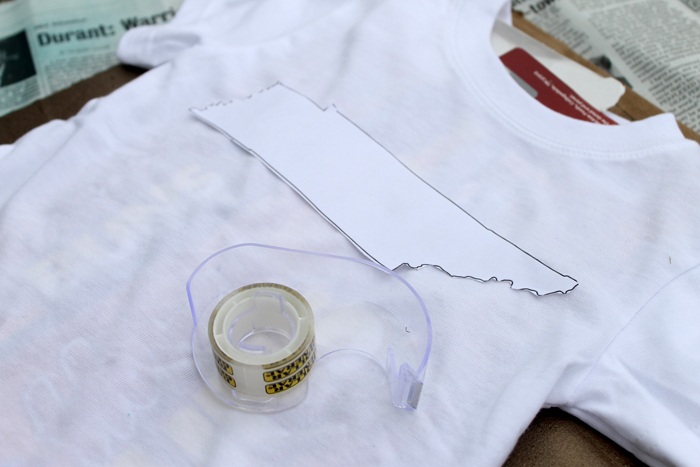 We used our state but you could use any shape that you can print or cut from paper. You could also pick up some Testors stencils if you would like. Now there are a few ways you can airbrush with a shape. I just taped mine down so it would not fly around when the air hit it. This means that the shape was slightly raised. Some of the paint will slip under the edge leaving you with an imperfect line. We liked the effect plus the use of a little bit of tape is so super easy so we went with it! You could use a removable adhesive over the back of your entire shape and really get all of the edges down onto your shirt before spraying for a cleaner line. Then it is just time to spray! The Airbrainz Airbrush is so easy to use! Just press the top and your paint starts coming out. 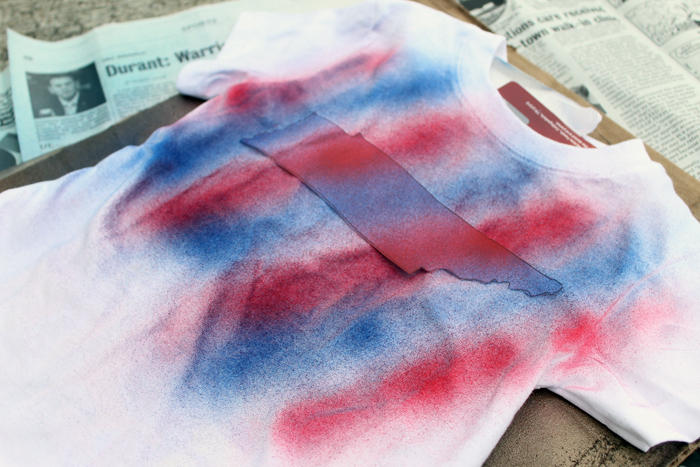 Let the kids experiment with the spray and how to add it to the shirt. Different methods will get different results. Swapping out the paint bottles to the airbrush just takes seconds. So using multiple colors on one shirt is absolutely an option. Here my kids went for a patriotic striped effect. Continue spraying on paint until you are happy with the appearance. Then just lift your masking from the shirt. I lifted these when the paint was still a bit wet but you can wait if you would like. Your shirt is ready to wear! 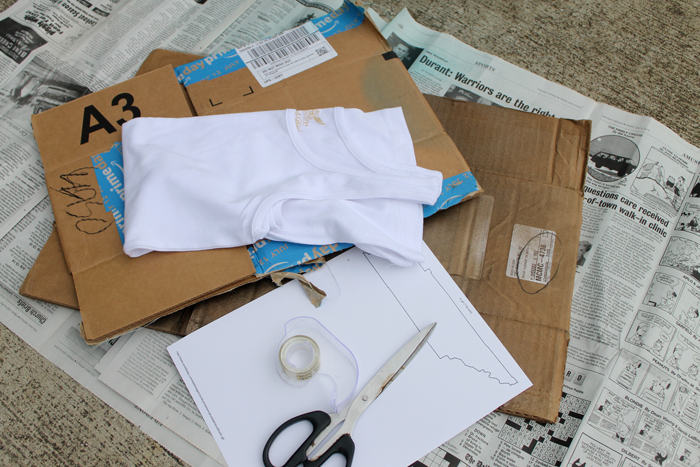 The kids will love creating their own clothing and how simple this product is to use. 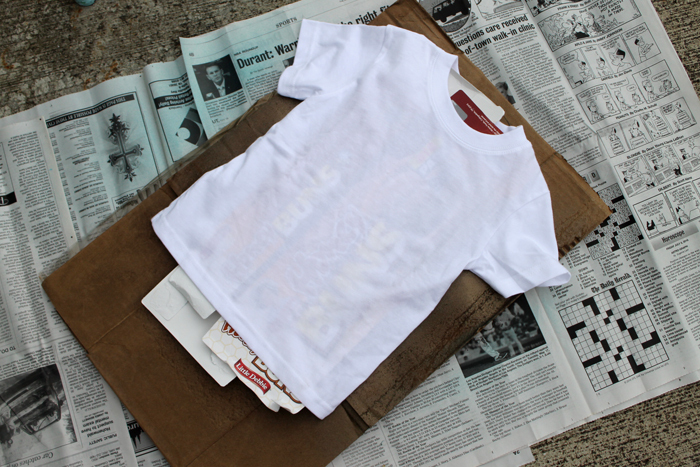 We had a blast experimenting and made several shirts! 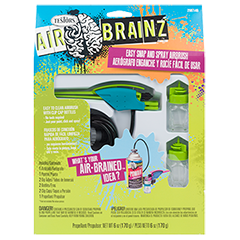 Try this Airbrainz Airbrush with your kids or scout group! 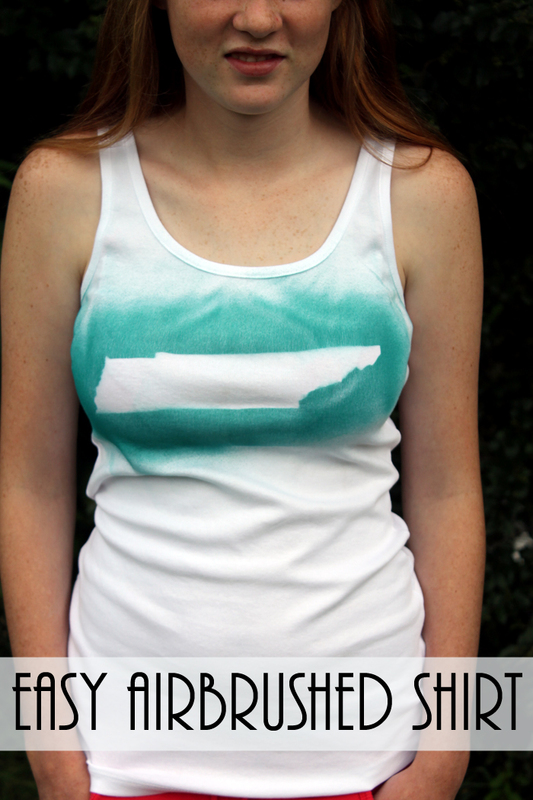 You will love making an easy airbrushed shirt or a bunch of shirts! If you are looking for even more quick and easy scout crafts, see what our bloggers have in store for you today below! 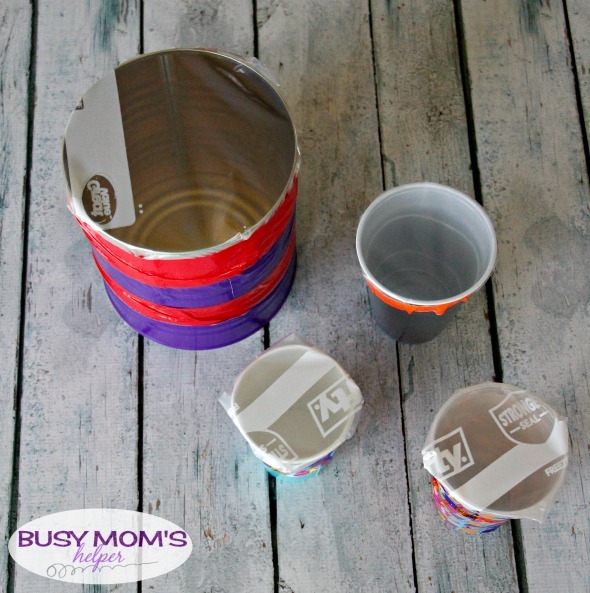 Turn cans, cups, and more into fun drums like these from Busy Mom’s Helper. 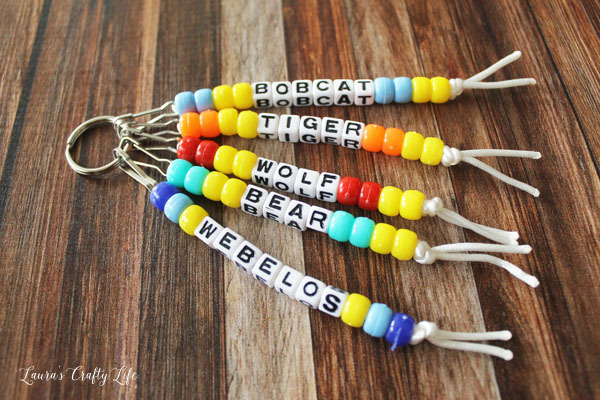 Make some cub scout key chains like these from Laura’s Crafty Life. 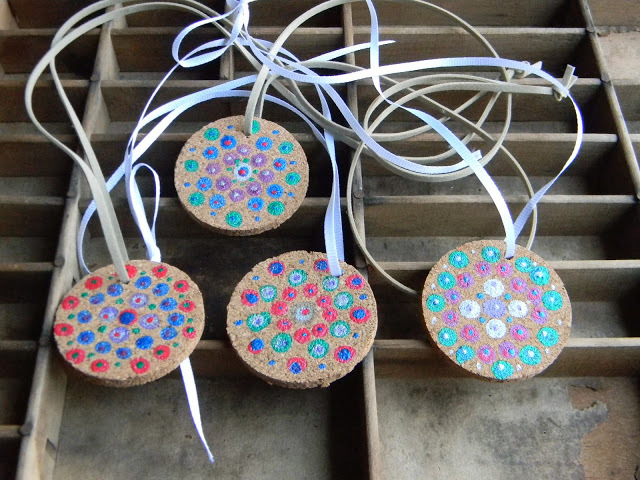 Turn cork circles into cute pendants with instructions from Artistic Endeavor 101. 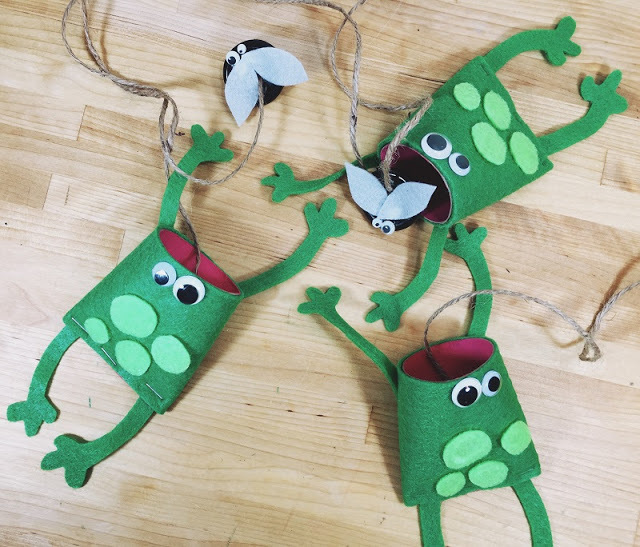 I love these fly and frog catchers from Beth Watson Studio! 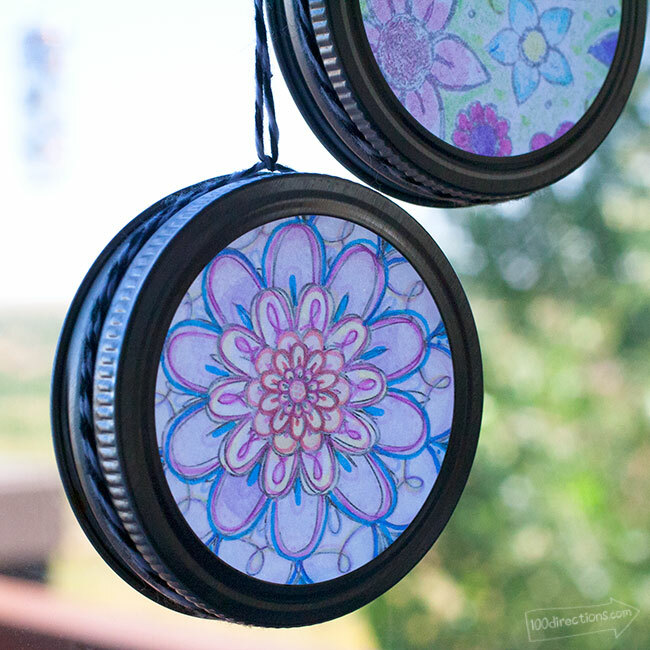 Turn coloring pages into sun catchers with this technique from 100 Directions. 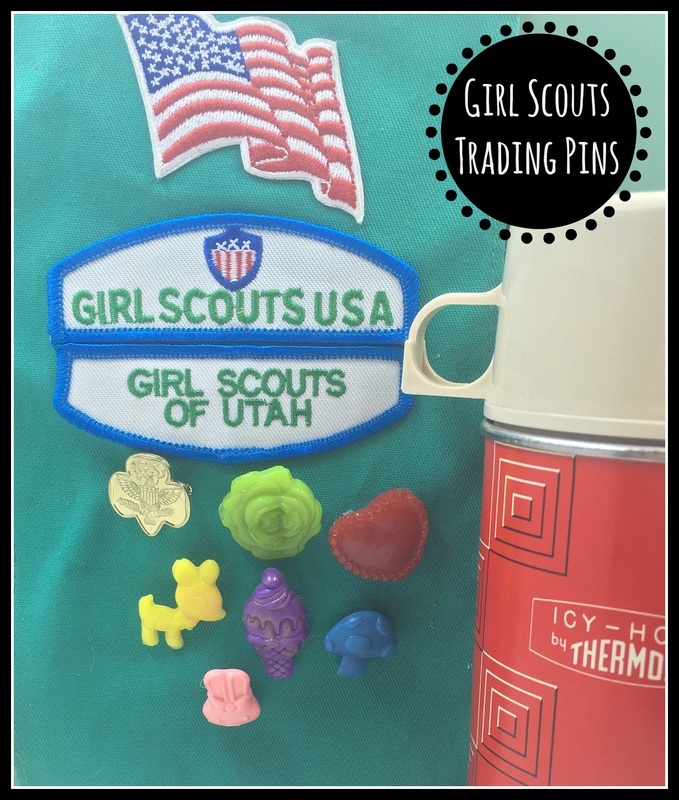 Girl Scouts trading pins are super easy to make! Let Midge and Madge show you how! 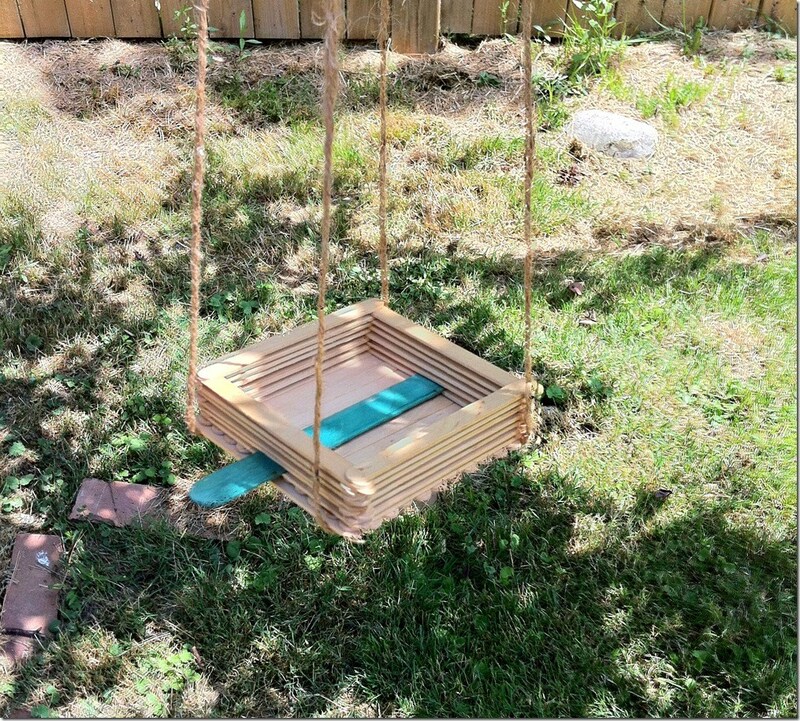 Make a bird feeder from popsicle sticks like this one from Creative Cynchronicity. 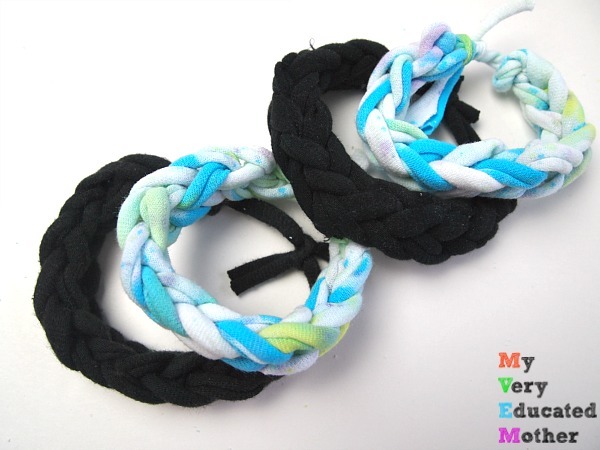 Make bracelets from old t-shirts using this method from My Very Educated Mother. 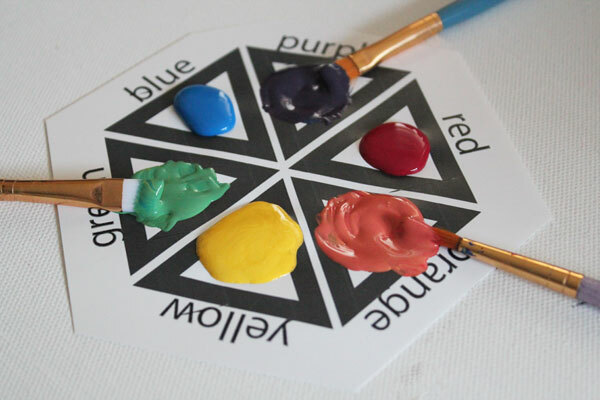 My co-hostess for this series is 30 Minute Crafts and she created a fun color wheel to teach scouts about mixing colors for different effects. Our guest co-hostess is Me and My Inklings and she made some Lummi Sticks! They are a great Native American Tradition that are super fun for any scout group! 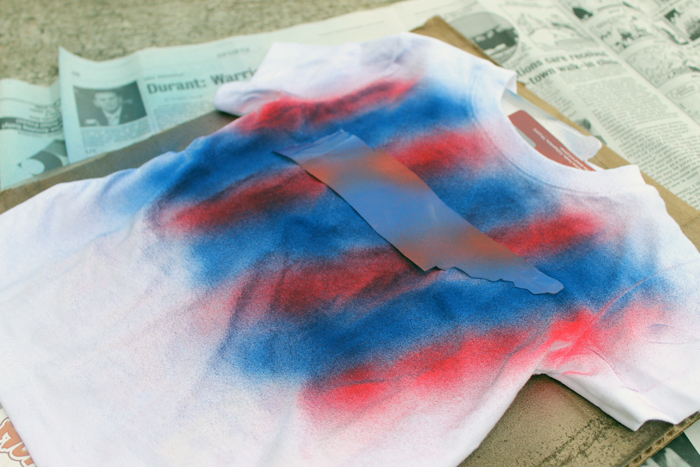 Give this easy airbrushed shirt a try then pick some of these other easy scout activities to try as well! Your troop will love it! Cute shirt! 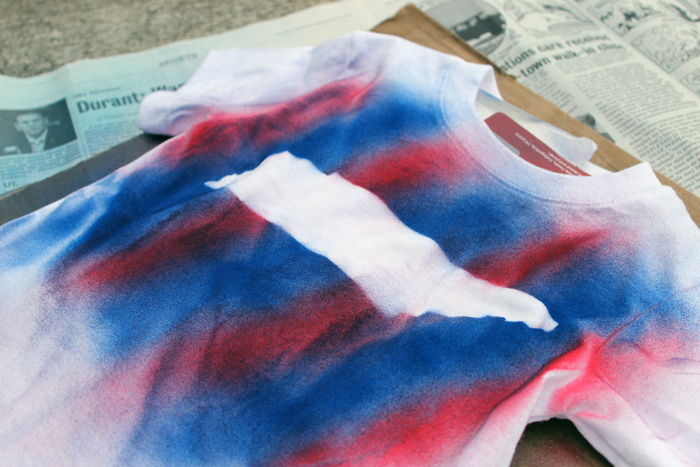 I love the patriot one – perfect for the summer Olympics coming up. I have not tried the air brush but recently have been into dying fabric and elastics for some sewing projects. I haven’t used dye in over 20 years – it seems a lot easier than it used to be and the dye seem to take better than I remember. Pinned your project. 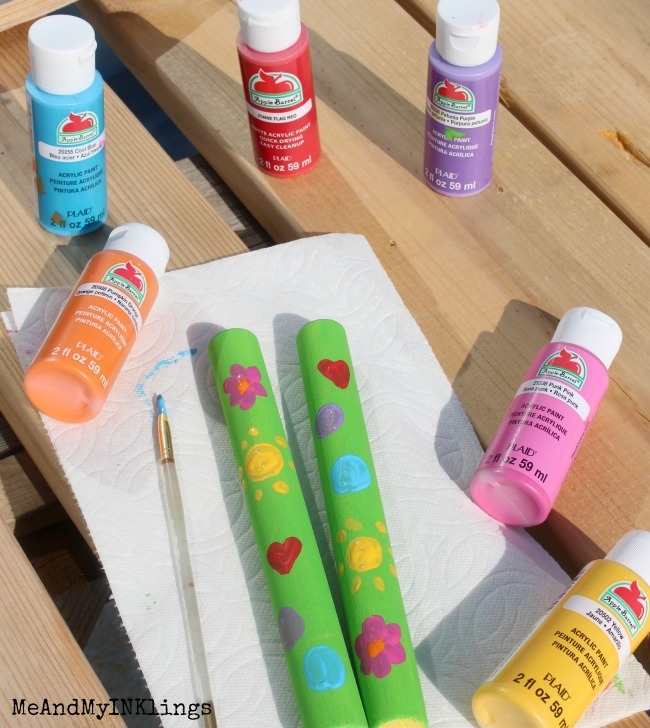 Awesome, educational, fun ideas for kids to make and give if wanted. These are such wonderful crafts for scouts, whomever to make. Gee takes me back when my boys were cub scouts, they were so proud to wear their uniforms. This could be fun researching crafts for them to make. I still have couple things my boys made in scouts, we’ve moved few times and they’re all grown up 53 and 52. Think will find photos of them in their outfits, miss my big boys. You might want to try cutting the shape out of freezer paper. It irons on and will stay in place. I love the fun painting technique. Yes! That will definitely work for a clean line!